In fact when you go to Vigan, Ilocos Sur, there’s this famous bibingka house called Royal bibingka where their specialty is the special royal bibingka. And I must say that their bibingka is extra special…it’s very, very tasty without any exaggeration. Also, in Luna, La Union, there are several residents who own a small business that specializes in making “bibingka”, “tupig or buyos” and other kakanins. They supply the stalls in Bauang, La Union where buses going to Baguio have a stop over. There are times that I crave for special bibingka and since I am miles away from the Philippines, I come up with my own version of it…at least close enough I bet! My husband tells me so and he loves it! 😀 Try it and let me know by leaving a comment below, if the taste resembles to the famous royal bibingka. Hehe! Note: The best type of cheese to use as toppings is the Kraft Eden cheddar cheese. It just happened that I don’t have that kind of cheese when I made this bibingka so I used cream cheese instead. It’s still taste good but cream cheese is best for frosting and it melts very easily. 1) Melt the butter and use the 1/4 of it to grease the foil or pan where you pour the bibingka mixture. 2) In a large bowl, mix the glutinous rice flour, coconut milk, fresh milk, condensed milk, egg yolks and the melted butter. Mix thoroughly until well-blended. 3) Preheat oven to 375 degrees Fahrenheit. While the oven starts to heat, pour the bibingka mixture into the baking pan and cover it with an aluminum foil then bake for 25 minutes. 4) Remove the pan from the oven, now that the bibingka is half baked, sprinkle it with the grated cheese. Hi, can I use flour instead? Hi, Can I use regular Flour for this recipe?? I like your recipe for the special bibingka, I tried it and went very well at the party(birthday). I must admit I did a little variation by adding a jar (14 oz.) 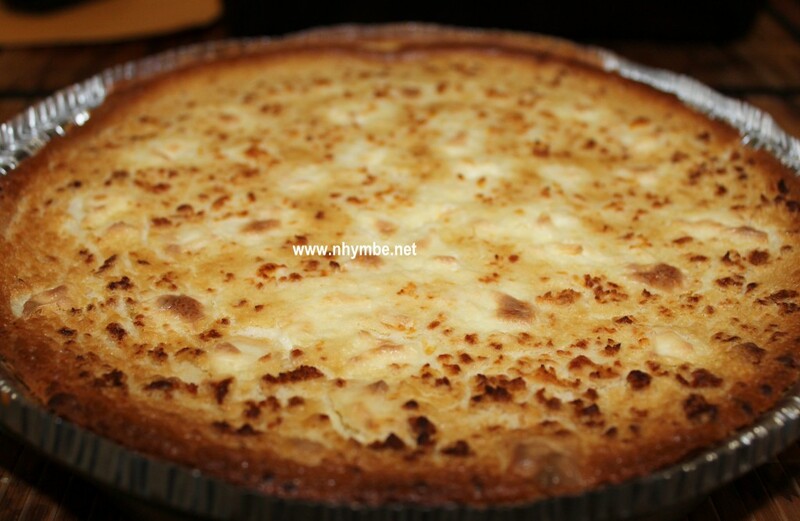 of gelatinous coconut in syrup, (macapuno string) s, split in half, first half mixed with the flour mixture, second half for the topping with the cheese. turn out to be more delicious. hi. what is the texture of this bibingka? is it like tikoy? First, thank you for publishing this Special Bibingka from Vigan, I had this long time ago, and he taste got stuck in my taste bud. it is wonderful, taste great and tried making it for the first time, was successful everyone at the party(birthday) enjoy and want for more. I am a retired Chef and always looking for great recipe and made some variation on this bibingka recipe. the variation I made was to add a jar (14 0z) of gelatinous coconut in syrup( Macapuno String) in the mixture and at the second baking period with the cheese, it turn out more delicious the family and guest are all braging about it. thank you again..
Hi there! I made this yesterday and it’s excellent. Thanks for sharing the recipe. I used Velveeta cheese instead of Kraft. Hello Arceli! You can just leave it like that if you don’t like the cheese for toppings. It would still taste good. I just read your article about bibingca yes am sesrching how to make perfect and special bibingca for business purposes. Pls.kindly send to my email more details more recipes about bibingca ….this is what am planing to do as I can’t go back to abroad as ofnow for am not fit anymore. I will try to start a small business to survive . Hoping I can make it . Hello Lyca! All the details about my bibingka recipe are already in this website. Try it according to the directions and if you have any questions, please feel feee to email us or comment here. Thank you for browsing. God bless you to your new endeavor. Hope all will turn out best for you. Omg!! !..mines turned out perfect!!! I used a 9×13 pan and it wasn’t as thick, but it reminds me of the bibingka from Laoag. Not sure why it had big bumps, other than that it was delicious. Next time I need to change cooking time…. btw….I made it without the cheese. Any suggestions on baking time without cheese? I baked it for 25mins covered with foil and 30mins without the foil. Hi…I see your recipe asked for 1/4 butter. Then you say in the direction to use it to grease your pan. Then mix your butter with the other ingredients. Just wanted to know how many do I need to put in the recipe? Hello Jane. I am glad you came across our website. Since you don’t need that much butter in greasing your pan, you can just get the butter from the 1/4 cup to grease your pan (approximately 1/4 or even less of your butter will be used in greasing the pan). You can either scrub the still hard butter around the inside of the pan or use the melted one by using a basting brush to grease the pan. Thanks!…I could use a 9×13 pan too right? Hi Cristina! No need for baking powder or yeast. 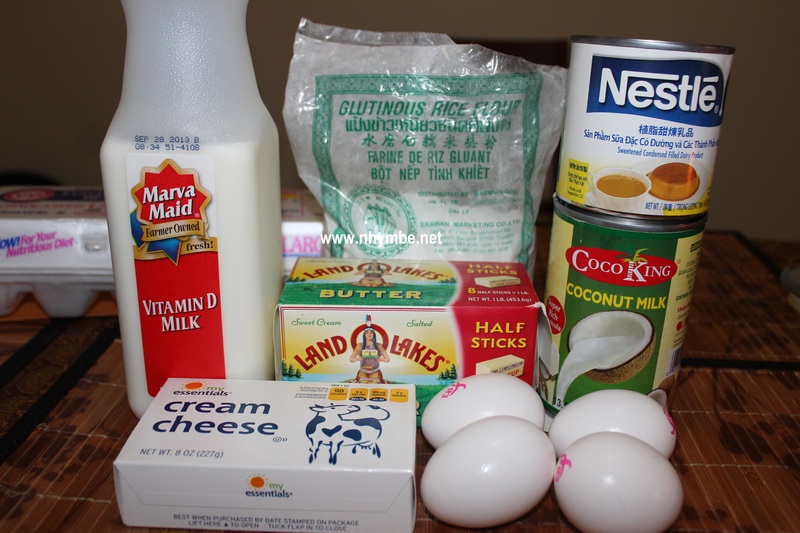 Just try it following the exact ingredients and let me know how it will turn out. Ilocano ka ba? Ilocana ak. Hello Ela! I’m so glad you and your inlaws like it. For Filipinos like us who are away from our homeland, we can’t help but missed our native dishes and we have no choice but to learn on how to make those. That inspired me to make all these Filipino/Ilocano recipes and shared them here in our website. Please continue to support us by visiting our website now and then if you feel like looking for dishes to try on. Maraming salamat. Thank you Lenlen. You inspire me more. Please continue to support us by visiting our website now and then so we can continue to share more Filipino recipes. Pag nasa mood kang mag-try ulit ng iba pang Filipino recipes, visit again our website. God bless you kabsat. Hello Lenlen! Salamat din sa pagbrowse mo dito sa website namin. Let me know kung nagustuhan ninyo tong version ng bibingka na to. And im very sure magrerequest nnmn ulit amo ko nito!!!! Hello again Lenlen! Thank you for sharing your experience in trying this recipe. It inspired me and made my day! Nakakatuwa naman at pati mga Chinese nagustuhan nila tong native na panghimagas natin. Please feel free na mag-browse pa sa website namin at baka may magustuhan ka pang recipe. Mga tulad mong nag-viview ng mga recipes ko ang nakakapag-pa inspire sa akin na gumawa pa at magshare ng mga lutong bahay na recipe. Tulad mo, ako din ay nasa ibang bansa at madalas, ako ay nagluluto ng mga pagkaing pinoy na namimis kong kainin. Pag kase nakasanayan nating kainin eh kahit saan tayo mapunta eh hahanap-hanapin pa rin natin. Thank you again and God bless. Can I use the mochiko sweet rice in place of the glutinous rice flour? Hello Marietta! Yes you can use mochiko sweet rice flour. There’s just a slight difference with the texture when you ise that but it would still be good. Based from my experience, when you use glutinous rice flour, the bibingka will be softer. Have fun baking! Thank you for sharing your recipe. It was perfect in terms of texture and taste. Suggestion to readers- follow exact ingredients (note: do not substitute rice flour for glutinous rice flour to get the ‘elastic’ and not cake-like texture. 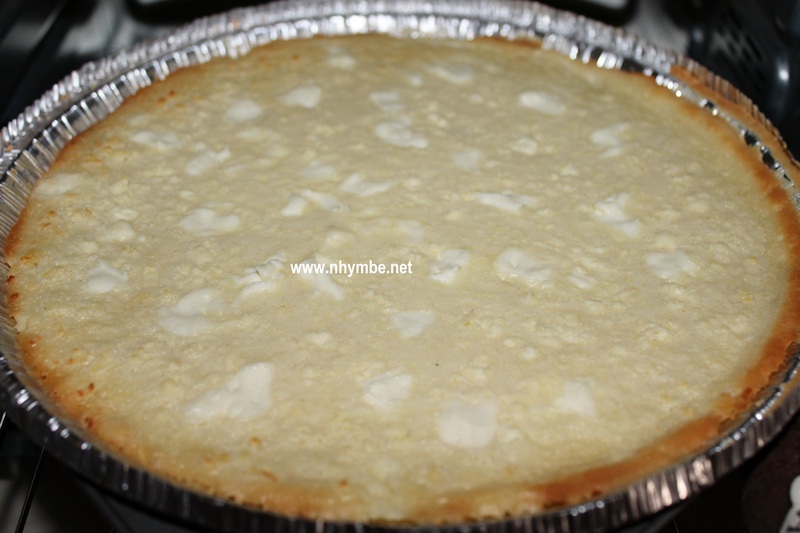 The condensed milk makes a difference, you’ll come up with a creamier bibingka as compared to using sugar. Thank you mai mai! Thank you so much Happy Baker for your comment! You just don’t know how much I appreciate it. You inspire me more. Hi! Thank you for sharing your bibingka procedure. I already tasted bibingka from another places but the bibingka that came from Ilocos it has a special taste for me. Maraming nagbebenta ng bibingka pero iba yung luto sa Ilocos, meron din kaparehas ay yung galing sa Abra na bibingka, im not sure kung sa Ilocos sur sila kumukuha ng benta nila kasi parehas sila. Paborito ko talaga sya kung galing Ilocos at Abra. Hello Jurnalyn! Masaya ako at na-appreciate mo tong bibingka recipe na to. Naka-ilang trial and error din ako bago ko nakuha ang timplang gusto ko bago ko share dito sa website namin. I’m glad you tried it and you liked it. Thank you. Hi how about coconut string or macapuno on top? Hello Boyet! Coconut/macapuno string would be perfect! It will give more creamy taste to the bibingka. Filipino/Ilocano ka din ba? this recipe is 5 stars!!! we cant stop eating straight from the oven. Hello Grace! I’m glad you tried this recipe and it turned out good. May I ask what is the size of pan for this mixture? Hello Ms. Maria Luisa! I usually use a 9 inch x 13 inch rectangular shaped baking pan with that depth of not more than 2 inches. Sometimes I used aluminum foil disposable pans when I bake for frien’s party. It doesn’t matter what size or shape actually. Thanks for viewing this recipe. ilang araw bago mapanis ang bibingka? Hello May! Under room temperature (up to 26 degrees Celcius), based on my experience, 7-10 days po. ako po eto ulit. pude bang gumamit ng baking soda, pampatubo? Hello Rosemarie! Hindi ko pa nasusubukang gumamit ng baking soda para umalsa. Pero pwede mong subukan…let’s say 1 teaspoon tapos let me know how did it go. This is going to be exciting kase kumbaga we’re trying to experiment di ba? hai poh, tanong kulang, kung walang oven, pueden bang gamitin ang pugon? pkisagot poh.. gagawin ko poh kasing business eh! Hello Rosemarie! Pwedeng-pwede na gumamit ng kugon. Mas mabango pa nga pag kugon. Just make sure to check kung luto na para di masunog. Pag kugon kase, di tulad ng oven na pwede mong i-set yung temperature at timer nya. Orasan mo rin siguro para next time na magluto ka ulit eh alam mo na kung ilang minutes ang baking time nya. Have fun! I can say I am a fearless baker. I have tried every bibingka recipe I could find. I have to say this is the best I have tried so far. I made my own additions, grated young coconut and vanilla. This is a keeper for me. Hello may party Kami this coming Saturday gusto ko sanang subukan mag bake ng 1 big pan maybe 3-4 recipes pero hindi ko alam kung ilang minutes or oras ko lulutuin? Hello Jenger! You may try to make the measurement of the ingredients 4x more, mix them all together then pour into 2 large baking pans and bake the 2 pans at the same tune for 45 minutes for 350 degrees farenheit. To check if it’s already okay, try to poke the center of the bibingka mixture with a toothpick and if it comes out clean, then it’s good to go. Bake a little longer if necessary. Have fun! 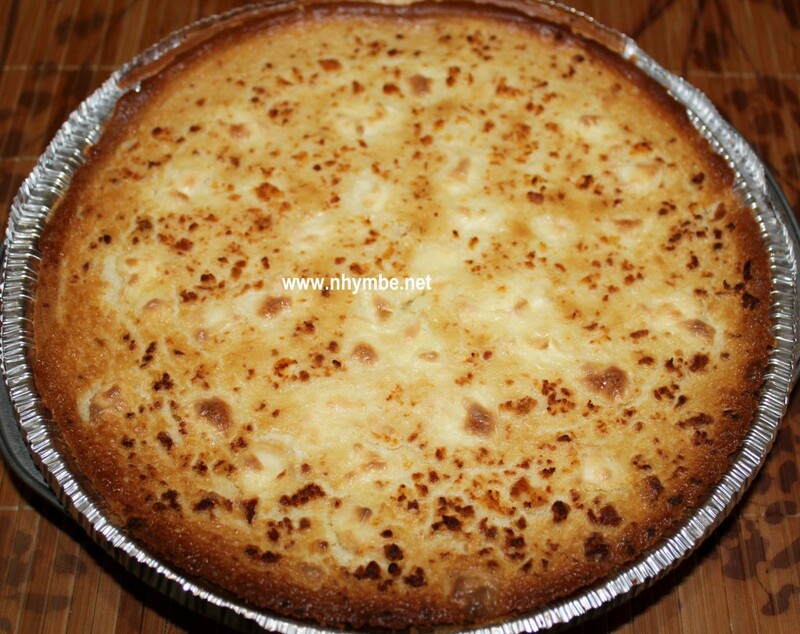 Thank you for your comment and sharing your variation in making bibingka. Padasek tu man met ta version mo. It’s to have variations once in a while and I will let you know how did it go. thanks for sharing this recipe still i did not try it but surely i will like it. Thank you Mary Ann. Yeah..try it and let me know how did it go. I followed your bibingka recipe in December and made in time for Christmas dinner, I added half to 3/4 cup of coconut strings, it was a hit! Now I bake at least once a month for my family in a doubled recipe to last at least a day or two, otherwise, it’s gone overnight! I also make one extra to give away for my friends, they all love it! Thanks for a great recipe, I love this Vigan Bibingka! Hi Violet! Thank you for the nice comment…it made my day. I love sharing some of my personal “lutong-bahay” recipes and I appreciate every comment or feedback from those who really tried those recipes I posted. It inspires me to share more of my recipes. Thanks again and feel free to browse our website. Thank you Nhez. Yes, you should try it and let me know how did it go. and it did not stick to the bibingka. Anyway, I brought a big slice to my friends and they were amazed! They said, it was really “malasa, soft, reasonably chewy and smelled so bibingka! Thanks. My pleasure Maymay. I’m glad you tried this recipe and it turned out well. I tried the recipe and sakto ang cooking time. Masarap ang texture nya. Di matigas pero chewy. Kaso iba pa din talaga yung nabibili na royal bibingka. Tapos for me medyo kulang sa tamis kung 1 small can lang ng condensed milk. Try ko 1 big can ng condensed milk baka by then sakto na. 2nd batch na niluto ko also substituted coconut cream instead ng coconut milk kse naubos na. I also used evaporated milk instead of fresh milk kasi mukhang mas creamy yun. Masarap siya talaga kulang lang talaga sa tamis kung small can of condense ang gagamitin. Pwede bang lagyan ng grated coconut ang bibingka para super special hehe..
Pwedeng-pwede naman po. Mas malasa pa siguro yan. Never tried that yet though. Let me know the result po pag nasubukan nyo na. Thank you for visiting our website. Mas malasa tlga ang pure giniling n malagkit with fresh coconut milk at rest ingredients. Tas iluto s mala bangang pglutuan with dahon ng saging mas mabango!.. But this time i will try ur ingredient kc malayo ako s pinas pra mkuha ang exact n sangkap! I tried this recipe today. I’ve been wanting to make this for the longest time. my tita glo used to make this. only thing is it didn’t come out as I expected. following your recipe when baked it rose a lot. it didn’t look like what you pictured. could it be because I used a nonstick teflon pan. don’t get me wrong, the taste was almost there. what I can remember is that it was kind of flat. I decided to try your recipe after searching for quite some time because your pictures looked like what my tita glo made. what may be doing wrong? Hello mjc7170! I’m glad you’ve bumped into our website. Thank you for taking time to comment and raise a question because I love to interact with those who try my recipe like you. Hmmm…I wonder why it rose a lot? Do you mean “maalsa” than what you wanted? It should not be like that because there’s no baking powder or yeast…just pure sweet rice flour/glutinous rice flour or “malagkit” flour + egg yolks + plus butter + coconut milk + condensed milk and evaporated milk right? The only thing that could make it really rise I think is the egg epecially if you included the egg white? 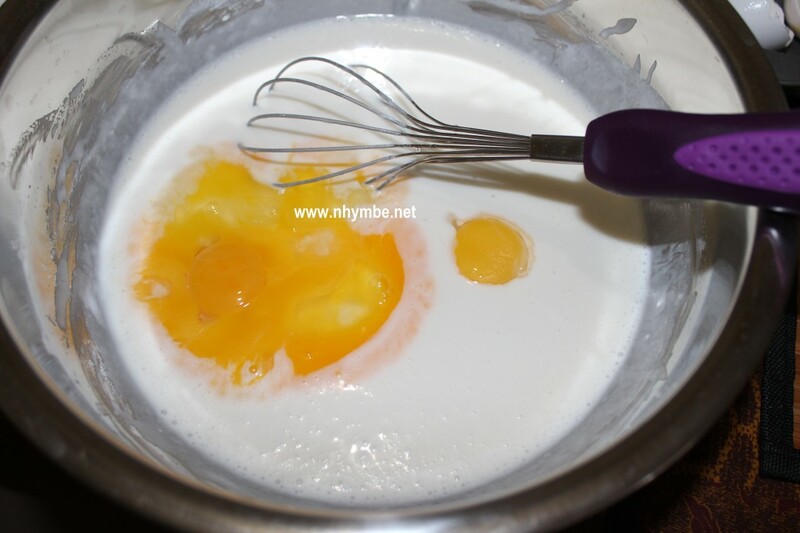 That’s why I prefer to include only the egg yolks as stated in the list of ingredients. As for the teflon non-stick pan, I don’t think it will affect in any way the quality of the bibingka because I also use non-stick pan sometimes in baking if I don’t have aluminum foil trays. I’m not sure about your preference in bibingka but the type of bibingka in this recipe is somewhat the bibingka Vigan, Ilocos Sur or bibingka from Luna, La Union if you’ve tried it. Here’s more info about bibingka which I just copied from my previous answer to some of the questions of my readers. Thank you for viewing this recipe. Rice flour is the “galapong” in Tagalog. Correct me if i’m wrong, eto po yung pinapagiling o nagiling na sa palengke. I prefer to use the packed glutinous rice flour because it’s really softer and more like “elastic” when eaten. So I achieved the consistency of my recipe by using just the packed glutinous rice flour. Glutinous rice or sweet rice is the “malagkit” in tagalog or “diket” in Ilocano. So basically they’re all the same but it’s just a matter of how the flour is processed. There are 2 types of bibingka actually. 1st is the one made of “galapong” or rice flour and it’s cooked with buko, itlog maalat and thru banana leaves and charcoal. 2nd is more of soft, creamy, elastic when eaten, with cheese toppings and it is baked or sometimes sa “kugon” (traditional way of baking) niluluto. My version of bibingka is the 2nd type. Closed to famous bibingka in Vigan or the one sold in Bauang. So if you want the softer type of bibingka, I suggest you use the packed glutinous rice flour, if not…the super refined “giniling malagkit”. Hope I answered your question. bibingka is one of my favorite especially when it is hot. Hi there. I tried ur recipe and its yummy, everyone loves it. Mas malagkit at masarap nga if you use glutinous than ung rice. Tama lng ang tamis with the use of condensed milk. Tnx for the nice recipe. Hello Helen! I’m so glad you enjoyed the bibingka. I love sharing my personal homemade recipes. Please feel free to browse in our website. Have a nice day. I cooked yesterday and i used malagkit powder but it still rough…it is maybe because they grinded malagkit which is already stocked…..thanks for posting this procedure and I have to use glutinous flour wlhich is softer…If it is click,i’ll do this for my business but don’t worry mam I am far away from your place….hehe!Naimas ngamin..
Hello Beth! Mas masarap at malambot talaga ang texture pag yung naka-pack na sa nabibili sa grocery store na glutinous rice flour kase pinong-pino talaga. Sinubukan ko rin noon yung “nagpagiling” diay palengke ket isu inusar ko pero magaspang. Kaya mula nun yung glutinous rice flour na ginamit ko. Please feel free to try na gumawa at gawing business and I would be very happy for you. If you can leave a comment herevor email me how did it go. I suggest, instead of using condensed milk to make it sweet just use sugar of the same measurement pag ibebenta mo para di ka masyadong magastusan sa puhunan. Sinubukan kong gumamit one time ng white sugar nung naubusan ako ng condensed milk at masarap pa rin. Have fun! Do we need baking powder? Hi Cecilia! Thanks for browsing in our website. No you don’t need baking powder. Just follow the needed ingredients in the instructions. Enjoy baking! Hi! Thank you for posting this. Just want to ask, the glutinous rice flour you use? Should it be grounded already? Thanks! Hello Leah! Yes, it should be a flour. Thanks for browsing our website. I would just like to ask if no cheese is to be added. How long is the baking time? Is it to 50 mins? Thank u. Without cheese, still taste good. But i love better with cheese. I tried this recipe over and over again coz it’s very simple and the steps are so easy to follow. I had mastered the recipe indeed. My husband and children loved it too. Hello Reneliza! I’m glad you and your family enjoy this recipe. Same here, I love it better with cheese. I’m a cheese lover. All the best for you and your family. Cream cheese is far different from cheddar cheese you know.. It’ll just ruin your bibingka, I think its better off without any cheese if you don’t have any on hand rather than using cream cheese. Just saying. Hi Rona! Thank you for trying this recipe. That’s the reason why I prefer to use the packed glutinous flour than the rice flour. Rice flour is the “galapong” in Tagalog. Correct me if i’m wrong, eto po yung pinapagiling o nagiling na sa palengke. Sometimes kung di pino o kaya magaspang pagkagiling nagiging matigas po talaga o magaspang kalalabasan ng bibingka. That’s why I prefer to use the packed glutinous rice flour because it’s really softer and more like “elastic” when eaten. So I achieved the consistency of my recipe by using just the packed glutinous rice flour. Glutinous rice or sweet rice is the “malagkit” in tagalog or “diket” in Ilocano. So basically they’re all the same but it’s just a matter of how the flour is processed. There are 2 types of bibingka actually. 1st is the one made of “galapong” or rice flour and it’s cooked with buko, itlog maalat and thru banana leaves and charcoal. 2nd is more of soft, creamy, elastic when eaten, with cheese toppings and it is baked or sometimes sa “kugon” (traditional way of baking) niluluto. My version of bibingka is 2nd type. Closed to famous bibingka in Vigan. So if you want the softer type of bibingka, i suggest you use the packed glutinous rice flour, if not…the super refined “giniling malagkit”. Hope I answered your question. 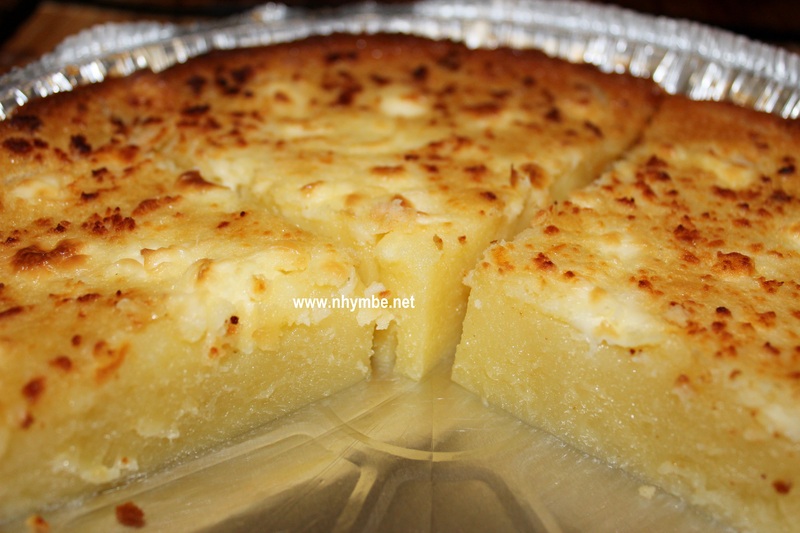 Hi I have been looking the ilocano recipe for bibingka just like the bibingka being sale in Bawang La Union that I used to buy when I pass by and the Bibingka in Candon. Inotice that when eaten it is sticky and elastic and thought that it is made of glutinous rice. But when I do research on the recipe I find out that most suggest rice flour. I want to know what is the difference of rice flour and glutinous flour when it comes to bibingka. All I know about riceflour is the puto and if I will make bibingka out of it might be it is not elastic. I want the elastic bibingka like a buble gum when your are eating it. Hope I can an answer here. Thank you po. Hello “life’s free”. Thank you for viewing this recipe. Rice flour is the “galapong” in Tagalog. Correct me if i’m wrong, eto po yung pinapagiling o nagiling na sa palengke. I prefer to use the packed glutinous rice flour because it’s really softer and more like “elastic” when eaten. So I achieved the consistency of my recipe by using just the packed glutinous rice flour. Glutinous rice or sweet rice is the “malagkit” in tagalog or “diket” in Ilocano. So basically they’re all the same but it’s just a matter of how the flour is processed. There are 2 types of bibingka actually. 1st is the one made of “galapong” or rice flour and it’s cooked with buko, itlog maalat and thru banana leaves and charcoal. 2nd is more of soft, creamy, elastic when eaten, with cheese toppings and it is baked or sometimes sa “kugon” (traditional way of baking) niluluto. My version of bibingka is the 2nd type. Closed to famous bibingka in Vigan or the one sold in Bauang. So if you want the softer type of bibingka, I suggest you use the packed glutinous rice flour, if not…the super refined “giniling malagkit”. Hope I answered your question. Try to use rice flour, instead of glutionous maam. U Ddnt mention how much sugar..
Hello Michael…There’s really no sugar in my bibingka because I only used condensed milk in making it sweet. it’s creamier and softer and the sweetness is just right. Hello Den! Yes, no sugar because the condensed milk is enough to make it sweet.